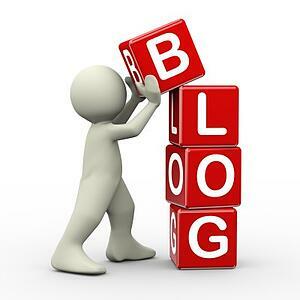 Blogs have a powerful capability to generate leads and build loyalty with existing customers. If you are ready to take your online marketing plans to a new level, start a blog to generate business. Writing a blog can be accomplished internally at your business, or you can find a marketing provider that can produce extremely high quality content for your blog. Once your blog is created, where should it be posted to get the best results? Your web site – your business web site should be an “anchor” for your blogs. From here you can utilize links elsewhere that will bring potential leads back to your web site. This will not only increase traffic for your web site but it will also improve your search engine optimization (SEO). Social media – Create a tantalizing post that tempts the reader to click on the link to your blog and read more. This can work for Facebook, Twitter, Pinterest, LinkedIn and other sites. Industry sites – many industry forums and trade magazines welcome blogs from businesses that provide good content that is news-worthy. This gives your blog credibility and gets you noticed by even more qualified leads. Email – by developing an email subscriber list you can send out notices about your blog that includes a brief preview and then a link back to your web site. This is another great way to increase traffic. When blogging you should welcome comments and feedback even if it’s negative. By having healthy discussions you can professionally address concerns and provide additional education opportunities for your readers. Feedback can be a powerful tool to build loyalty and let your potential customers know that your business is attentive and responsive.